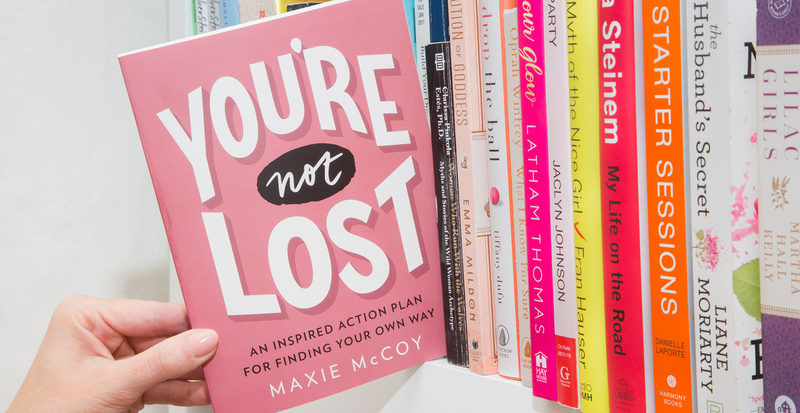 Not everyone knows right away what career they’re destined for, and author Maxie McCoy is a perfect example. 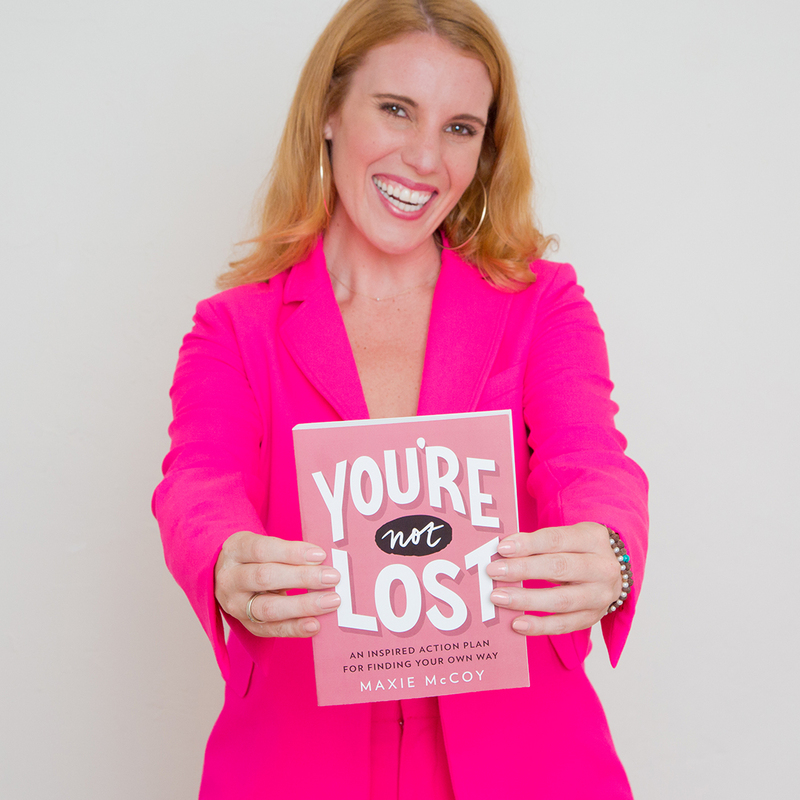 After leaving a job in sports, she went on to write You’re Not Lost. “Clearly, my path was not linear,” she says. “Most paths aren’t. And I think it’s a testament to trying new things, valuing small steps, and staying consistent. Because it will get us somewhere.” As Maxie found, when you have the drive and ambition to make things happen—more often than not—things happen. To continue our celebration of women who inspire us, we chatted with Maxie to see how she found her focus and now helps others to do the same. (And all while wearing a killer hot-pink suit, no less). How did you become the writer, blogger, and women’s-empowerment figure you are today? Women’s issues, writing, rooms of women… it’s always been my passion, but I never knew it would come together to be my career. I studied journalism with the plan to pursue sports broadcasting as on-air talent. After a number of experiences and a small gig on a major sports network, I realized everything I had said I wanted was falling flat. The bottom had fallen out on my big goal. I felt completely lost, and went on this way for a few years and through other opportunities. At the depths of my lost feelings, I decided to take a writing class and write about the things I’d always cared for deeply—women and their careers. This serendipitously connected me to a new, venture-backed platform for professional women. I became their fifth employee and was tasked with building out their global communities. My job was to talk to women around the world and build out offline experiences that they would grow and connect from. It was my rocketship. I was having so many magical conversations, I felt a pull again to write about these universal truths we were all experiencing as women… on a blog. That blog was the beginning of my career today. Slowly but surely I’ve built on it, refined my skill set, gone deeper with my message, and it’s led me to where I am today. Your book is called “a tough-loving guide to figuring out your next steps.” What’s one lesson you hope everyone takes away from it? You don’t need a huge goal, or a well-mapped out plan in order to be un-lost. You only need you. When you connect back to your own power, you have everything you need to come out of the dark fog of feeling lost. It’s what helps you to follow the things that light you up in small ways. Trust me, you’ll get there. The path doesn’t show itself before you step, it shows up because you step. What is your typical work uniform, and why? I’m either on the road or working from my coworking spot in San Francisco, so my go-to is normally some high-waisted Levi jeans, a tucked-in top with a blazer over it, and a pair of boots. And hoops. Can’t forget the hoops. 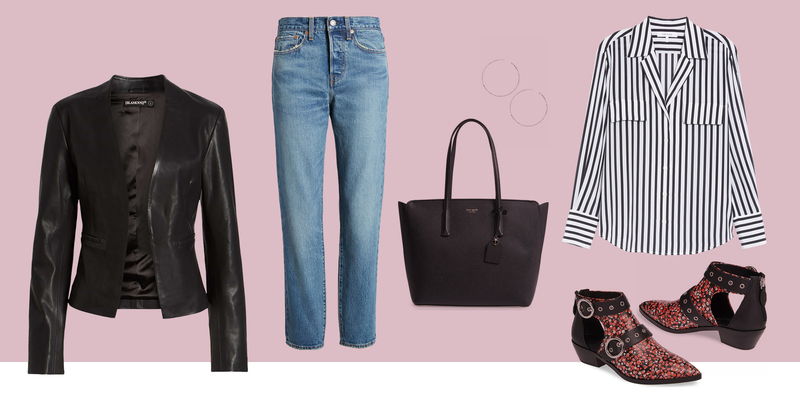 We love a good power outfit. Do you have a specific piece you wear that gives you confidence? My hot-pink power suit! When I bought it, I was scared I’d only be able to wear it here and there because it’s so memorable. But I’m really proud of myself for bucking that assumption and wearing it constantly. Like constantly. I’ve made it my thing, and I couldn’t care less how much people see me in it. Be the highest possible expression of yourself, always—because when you’re so fully you, the right opportunities, people, and experiences will find you. It’s easy to get lost when you’re busy blending in. What’s next is trying to be fully present with what’s right now. I’m so grateful for every single woman reading my book and reaching out to me about how it’s changed her life. It’s life giving. So I’m working to try and really feel that impact (because honestly, it all feels so unbelievable) and doing the things that make me feel the most alive, like facilitating conversations with women and writing, writing, writing. Who knows where it all goes next!